[July22]Pinawa celebrated its 46th Birthday over the weekend. Watch for photos tonight! Pinawa - where Nature is at Home! Welcome to All Things Pinawa - a site devoted to all things Pinawa including day to day activities, photos, recreation, volunteerism, business and its history. 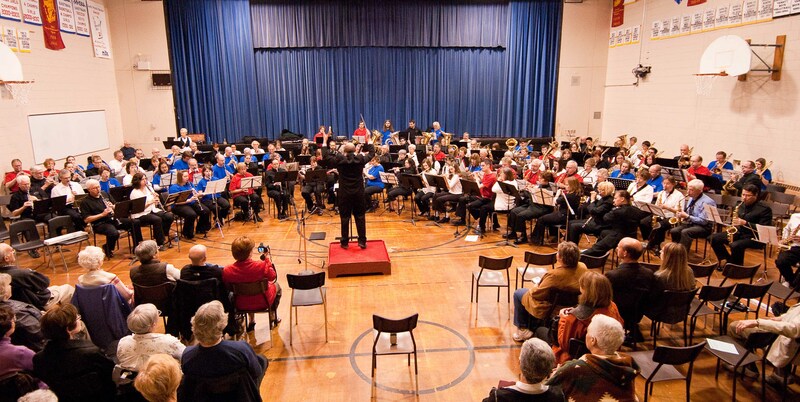 Music filled the auditorium and drifted out into the afternoon air Sunday afternoon while the Manitoba Community Band Festival played to a full house. Photos by Stu Iverson. 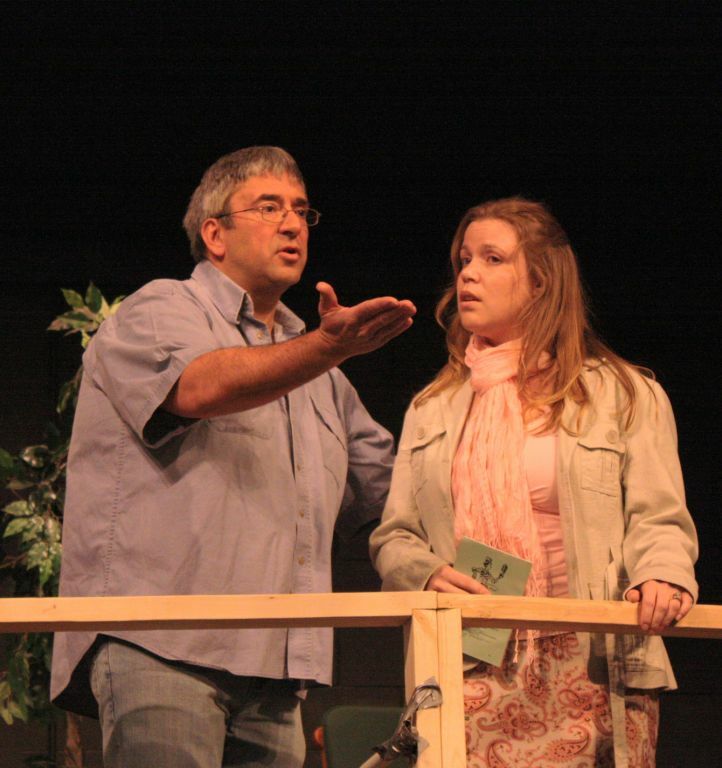 Daryl Woodbeck and Tarryl Hodges in Act 2 of the comedy “Here on the Flight Path” to be performed by the Pinawa Players at the ACT Drama Festival this weekend in Dauphin. Everyone is welcome to attend the Dress Rehearsal, Thursday, April 30 at 7:30 pm in the Pinawa Community Centre. – Admission free! All Things Pinawa was launched at noon, March 11, 2009. Fair warning: it is a work in progress and content will be added daily. Bookmark us and check back often. Share the address with everyone in your address book who may be interested in All Things Pinawa. And think about how your organization or business can benefit from having a place on All Things Pinawa - at absolutely no cost.